“The restaurant economy is changing and we need to make sure we’re constantly evolving to meet the ever-changing needs of our customers”, Gabriel Gonzalez commented on LIMA’s new menu concept introduced during the spring. Opened by Gonzalez and co-founder Virgilio Martínez (whose original restaurant, Central, in Lima is currently ranked at number six by the World’s 50 Best Restaurants) in Fitzrovia during 2012. 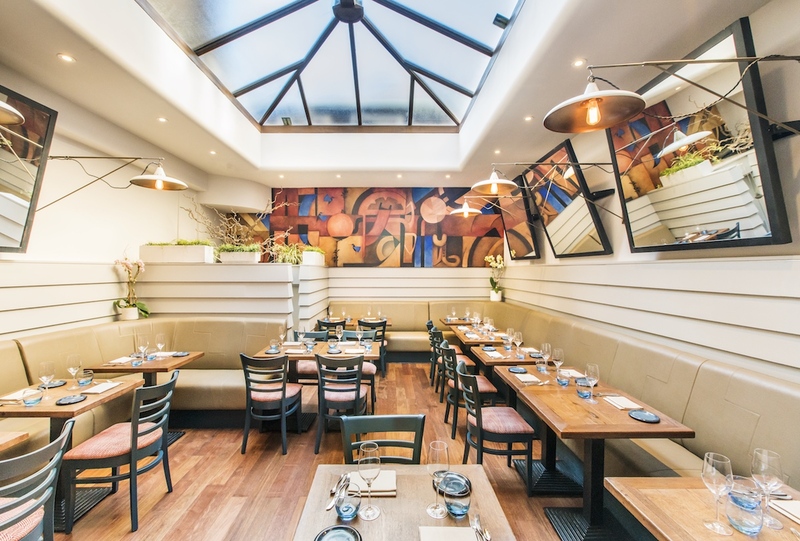 At the forefront of the current boom in popularity surrounding Peruvian food in London, LIMA soon became the first Peruvian restaurant in London to be awarded a Michelin star. A sister restaurant, LIMA Floral, soon followed. “Having been open for five years and with a solid grounding as part of the London restaurant scene, we have decided to develop our offering into a sharing, casual format rather than simply constricting diners to a starter, main and dessert format. We are keen to provide our guests with the opportunity to explore and experience new dishes which celebrate the culinary diversity and cultural influences that exist in Peruvian cuisine and bring the innovation of what’s happening in the city of Lima nowadays,” Gonzalez added. With a new focus on sharing-style dishes – as is apparently compulsory in modern day restaurateuring – Chef and Head of Culinary Development, Robert Ortiz’s new menu continues to champion the exciting flavour combinations and creative cooking techniques that initially put the restaurant on the map. Alongside the vast menu of sharing dishes, a sensibly priced tasting menu of sorts, ‘LIMA Recommends’, offers eight of the chef’s greatest hits for £42 per-person. Originally home to some of the world’s oldest civilizations, Peru was invaded by the Spanish in 1532, while a significant period of immigration from China, Japan, Italy, Portugal and Germany having since followed. 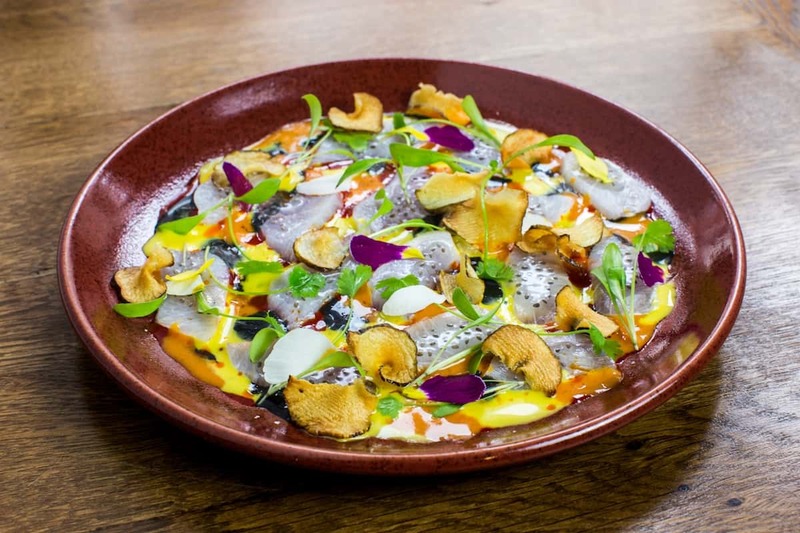 This vivid cultural tapestry has ultimately contributed to a rich national cuisine as colourful as the beautifully presented plates served from the open kitchen at LIMA. Here, dishes are contemporarily presented with surgical precision: kaleidoscopic smears are plentiful, plus dots and garnishes consigned with forceps. While this aesthetic style is often regarded as unnecessarily fussy, the artistic plating suits the cooking style, compensating for the otherwise unexciting dining room, beige and lugubriously lit. Service is consoling – warm and unexpectedly chummy, yet gradually slows throughout dinner. The ‘LIMA Recommends’ menu begins with rounds of warm bread, pillowy, sweet and charmingly offset by piquant chilli butter on the side. A dainty polenta cracker cradles diced prawn studded with nuggets of fatty avocado, ginger and sesame, demanding to be snarfed in one avaricious bite. Octopus olivo is a vibrant dish with swathes of natural colouring from yellow quinoa and a sauce of Alfonso olives, yet the main component is fractionally overcooked and unpleasantly chewy. Far better is the tuna Nikkei, featuring raw tuna with fistfuls of sesame, samphire, radish and an assertive Rocoto pepper. A complex dish with staggering balance, it’s the culinary equivalent of the fire emoji. Sea bream ceviche, on the other hand, is rampant with onion and lime, while sweet potato crisps and crunchy corn husks lend pleasing depth of texture. Ubiquitous avocado is an unwelcome guest though, muffling the dish’s elegance. A larger dish of Beef Pachamanca is a modern take on a Peruvian classic, championing beef cooked on hot stones. Well seasoned with warming spices and properly cooked – charred on the outside while internally blushing – the beef is just warm, as is the mattress of corn-spiked potato puree, yellow as daffodils but with plasticine texture and served cold as the grave. LIMA’s vegetable chifa, on the other hand, is a tribute to the Chinese influence prevalent throughout Peruvian cooking. When done well, the dish is a joyous celebration of natural produce. Alas, this version is a mess of vegetables lashed with soy sauce, evocative of a stir fry crafted in the haze of a drunken hour, using a parade of leftovers sulking at the bottom of the fridge. Far better are the cassava chips showered with flaky salt, favouring the sweet root of the woody shrub native to South America as an uplifting refuge from potatoes. Portion sizes are generous, yet desserts such as traditional alfajores or avocado mousse are available, if necessary. The café Peruano spiked with vanilla-infused Pisco and cream is a must try, however. LIMA can be found at 31 Rathbone Place, London, W1T 1JH.